Sales volumes fell by 0.9%, more than the 0.8% forecast by economists. It comes after a 1.3% rise in November – revised from 1.4% by the ONS – when Black Friday sales lured shoppers. Rhian Murphy, head of retail sales at the ONS, said: “Following the increased growth in November, where shoppers snapped up more Black Friday offers as they continue to bring forward their Christmas shopping, retail sales weakened in December”. It is the biggest monthly drop since May 2017, and the December fall meant that retail sales were down 0.2% in the fourth quarter of the year – the largest three-month fall since March. All sectors except food stores and fuel stores saw sales decline in December, the ONS said. 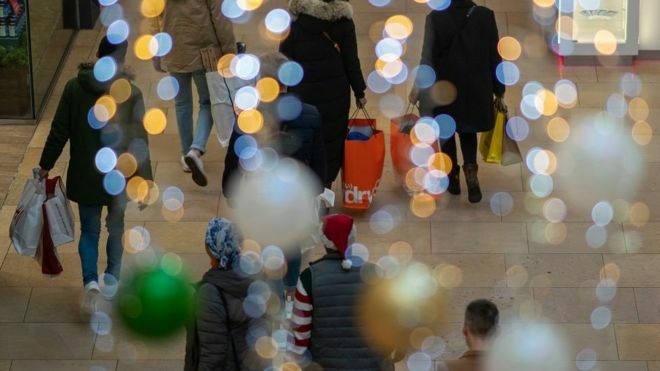 A number of retailers – such as Halfords, Marks and Spencer, Debenhams and Mothercare – have reported a fall in sales over the Christmas period.